Giving money to people who beg in Leamington may actually keep them on the street. Giving them money directly can help them to buy drugs and alcohol. Instead, customers residents and workers in Leamington are being urged to give responsibly when faced with people who are begging in the local area. The Salvation Army, Warwick District Council, Helping Hands, The Big Issue, BID Leamington, Royal Priors Shopping Centre and Warwickshire Police have launched the ‘Think Before You Give’ campaign, which highlights the benefits of supporting local homelessness initiatives rather than giving directly to people begging on the streets. It is hoped the campaign will help to support a positive change in the community and help to eliminate begging from the area and also remind the public that it is more beneficial to donate money to charities than individuals. Donations to the campaign will be donated to The Salvation Army Way Ahead Project – a charity working actively in Royal Leamington Spa to support homeless people and help them re-build their lives. The Way Ahead Project is part of the Salvation Army in Leamington Spa. We provide drop in, advice and activities for over 100 people each month who are homeless, or struggling with alcohol, drug use or their mental health. We’re here to support people to turn their lives around. We offer food, clothing, Shower and Laundry facilities but just as importantly somewhere people can find company, housing and benefits advice, referrals to supported housing and a range of activities from small group cooking to IT and art. We encourage people to get involved in running the project and support people into voluntary and paid work. We’re not here to provide a sticking plaster for homelessness, but to help people turn their lives around and create a positive community where people can reach their full potential. 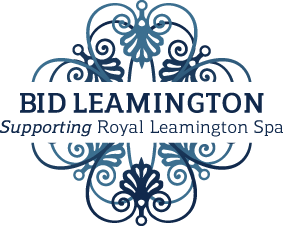 You can keep up-to-date with the project by Liking ‘Leamington Spa Way Ahead Project’ on Facebook or going to the website. Q: Should I give money to people begging on the street? A: No. But please don’t ignore them either! Much better to stop and have a conversation or even just say hello or nod than pretend that they’re invisible. If you’ve got a bit of time and want to then buy someone a cup of tea or something to eat. If someone tells you a long complicated story about why they need a quid they’re probably not telling the truth! And if you give them money once, chances are they’ll ask you again. However, if you’re concerned about someone please ask for their first name and come and speak to us and, bearing in mind issues of confidentiality we’ll see if we can advise about the best thing to do. Q: Do people have to pay upfront to stay in a hostel or shelter? A: No. Most hostel rents are covered almost entirely by Housing Benefit, although most places require a small weekly amount (normally less than £10) to cover service such as heating. Hostels and other supported accommodation are very flexible in arranging these payments as long as people have at least got a claim in for benefits. The only exceptions to the above is if people are working, failed asylum seekers or people from Europe who haven’t done a year’s work ‘on the books’. Even then all shelters are free to access. Q: Why don’t people just stop drinking / taking drugs and sort themselves out?! A: Most people start taking drugs or drinking to escape from a problem or something in their past. When people manage to break the physical addiction of taking drugs / drinking they then have to face the problem that they were originally escaping from. This means that people frequently relapse and sometimes have to go round and round before sorting themselves out. Falling back into old social networks is another key reason why people don’t change. Having said this one of our values is that ‘people should take responsibility for their actions’. Drug and alcohol misuse might explain why something has happened, but it doesn’t excuse it. Challenging people and helping people to take responsibility for their actions can be empowering as they realise that they can take control of their lives. Q: Doesn’t giving people food mean that they have more to spend on booze and drugs? A: No, if you’re an addict your first priority is getting your fix and if that means not eating then so be it. We see meeting people’s basic physical needs as a way of engaging them and allowing us to build trusting relationships with them, so that when they’re ready to sort themselves out they know who to turn to. If you would like to help we recommend you contact one of the local charities already supporting people in the town centre. Their contact details and examples the support they give are below. If you would like to display a ‘Think Before You Give’ poster or information, please contact us.